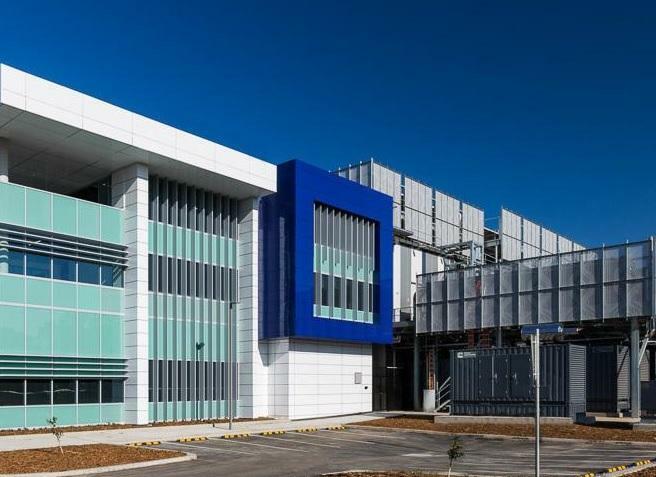 AirTrunk has unveiled its flagship Australian data centre facility, with the new Western Sydney site set to see the company make its big play in the local market. The first stage launch of the new hyperscale facility comes just eight months after the Singaporean technology start-up raised $400 million from investment bank, Goldman Sachs, specifically to build out two flagship data centre sites in Australia – one in Melbourne, and the other in Sydney. The two facilities were expected to be operational by the third quarter of 2017. At the time, the company said that both data centres were designed to be capable of offering significant scale – with Sydney claiming 70MW of IT load, and Melbourne 50MW of IT load, once fully completed. With the unveiling of the first of the two data centres today, it appears the company is well on track to meet its expected timeline, while the final power rating looks set to outgun early estimates. “We’ve built the Sydney facility in record time for our customers and have also established a platform for AirTrunk to deliver more exciting projects across the Asia Pacific region in the future,” said AirTrunk founder and CEO Robin Khuda, who also happens to have been a founding member of fellow data centre operator, NEXTDC. AirTrunk’s Sydney site is the company’s first hyperscale data centre in Asia Pacific and, at a total capacity in excess of 80 megawatts of IT load when fully completed, the company claims it will be one of the largest carrier neutral data centres in the region. In a promotional video for the unveiling of the new facility, the company cited an investment in excess of $200 million for the project. Covering 64,000 square metres of Western Sydney real estate, the new facility is expected to have a “positive impact” on the local economy, with hundreds of jobs created during construction and ongoing during operation. Indeed, the state’s Minister for Western Sydney, Stuart Ayres, said that the investment in the flagship hyperscale data storage facility was a sign of confidence from the major players that technology businesses “belong in Western Sydney”. "We’re delighted AirTrunk has chosen Western Sydney for this massive investment - building this centre has created around 300 jobs and 180 more people will be employed here permanently once operational,” Ayres said. Importantly, AirTrunk’s facility has been designed to the Australian Government’s security requirements, priming the company and its partners to tap into the lucrative public sector market. “The rapid growth of cloud adoption has driven demand for secure, reliable and scalable data storage solutions in the Asia Pacific region,” said Khuda, who has previously held leadership roles with various technology companies, including NEXTDC, PIPE Networks, Fujitsu, SingTel Optus, and Cheung Kong Communications Group. “AirTrunk has the financial capabilities and expertise to respond to that demand. We’ve demonstrated our unique value proposition to the Australian market and have already achieved substantial market share very quickly,” he said. AirTrunk said it had already commenced construction of the second stage of its Sydney campus. The company has been quietly building up its local leadership team as the completion of the two data centres made their way towards completion, with former Equinix project manager and Amazon senior construction manager, Paul Slaven, being named as AirTrunk’s new chief development officer in August. Likewise, the company appointed former Alibaba data centre platform engineer, Leo Chen, as its technical director in June.